Pearls Mall and Anant Singh’s Videovision Entertainment launched a first-time exhibition of wax sculptures of Nelson Mandela created by talented Durban artist and sculptor, Lungelo Gumede, to commemorate Mandela’s 100th birthday. 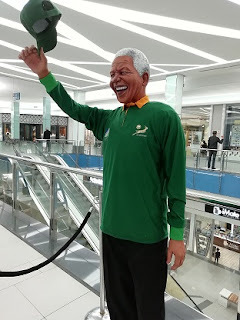 The exhibition, which will take place free of charge at the Pearls Mall from July 13 to 22, 2018, has been recognised by the Nelson Mandela Foundation as an official Mandela Day initiative. To enhance the exhibition and to create an unforgettable Mandela experience, film producer Anant Singh has made available the actual car which Mandela was driving when he was arrested in the film, Mandela: Long Walk to Freedom to be part of the exhibition. Anant Singh, also a director of the Pearls of Umhlanga said, “We are delighted to have secured Lungelo Gumede’s Mandela Wax Sculpture Collection for an exclusive exhibition at Pearls Mall to commemorate Madiba’s 100th Birthday. We have known Lungelo since he was a teenager and followed his progress as an artist. 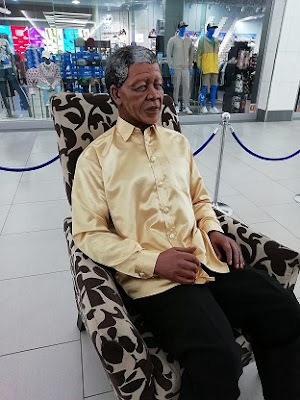 Initially a portrait artist, he has become an accomplished wax sculptor which can be seen in the life-like sculptures of Madiba. 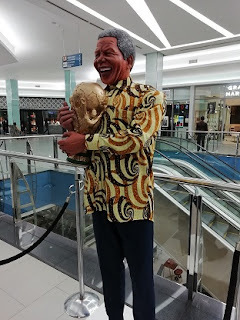 The exhibition, while celebrating the Mandela Centenary also reminds us of Madiba’s legacy, his selfless leadership, and that he is always with us in some form. “My work has been featured in many homes, galleries and festivals around the world; but, I am proud that this, my first formal exhibition, is in my home town. I am honoured to be exhibiting my Mandela Collection for the first time to mark such an incredible occasion: the commemoration of Nelson Mandela’s Centenary. 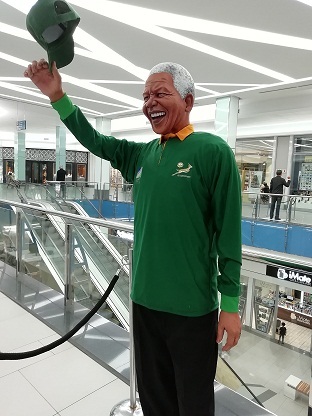 The aim of the exhibition is to take the public on a journey through Mr Mandela’s life, showcasing key milestones, in the hope that it motivates every South African to live by Madiba’s example,” explains Lungelo Gumede. The exhibition has been recognised by the Nelson Mandela Foundation as an official Mandela Day initiative. It is open to the public until July 22, 2018, on the Food Lovers level of the Pearls Mall in Umhlanga Rocks. Patrons can view and engage with the exhibits at leisure, and also take selfies with some of the sculptures.